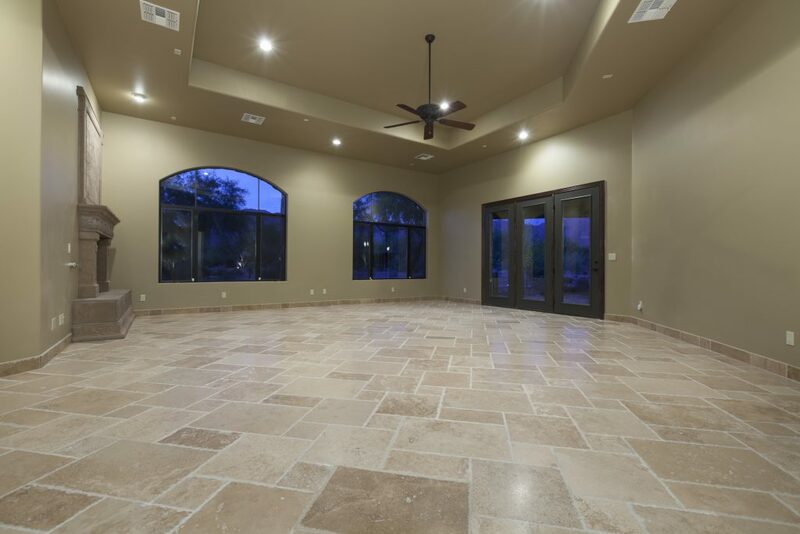 Remodeling can be a taxing process, particularly when it comes to the most commonly used surface in your home: the floor. Selecting the right kind of tile flooring depends on a number of factors including durability, stain resistance, water absorption, and, of course, aesthetic concerns such as color and style. With over 80 years of experience in home renovation, Speedwell Design Center has put together an overview of some of the best features of our wide range of tile products. These come in two styles: glazed and unglazed. The glazing process creates a protective layer that helps repel water and makes them much easier to clean. Although unglazed ceramic tile flooring is naturally stain resistant, it’s advisable to seal them in order to ensure their durability. Due to their water resistance, these tiles make a great addition to any bathroom and come in a wide variety of shades to match your decor. This material is popular with homeowners looking to make a statement. Since glass reflects light, these tiles work wonders when it comes to making a small space appear larger. People love the smooth, glossy finish, and individual pieces can be used to create beautiful mosaic designs. This material is manufactured from hot magma, making it one of the toughest, most crack-resistant products on the market. Often used for countertops, granite also works extremely well as a flooring option for your kitchen. It varies in appearance and porosity from stone to stone. These feature tiles can transform a room from bland to beautiful. They add an air of luxury and opulence when used as centerpieces in entranceways, foyers, and other areas. Also popular as a feature design, metal tiles are flexible and economical, as they can be finished to resemble more costly materials such as bronze or even gold. They’re also eco-friendly when made from recycled scrap! Practically impervious to scratches and scuffs, these tiles are ideal for high-traffic areas. They’re also incredibly low-maintenance; most spills can be wiped up simply using a damp cloth. An extremely hardy material, slate tile flooring is perfect for households with young children. It’s also fire-resistant and almost completely waterproof, making it a good all-rounder for any room of the home. As accents on kitchen and bathroom walls, these items have a unique, textured finish that can really bring your room to life. If you’re still at a loss, browse our inspiration photo gallery and plan a trip to our showroom. Our team is here to help every step of the way.